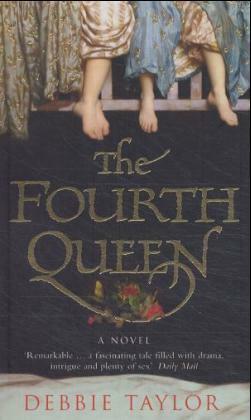 This is a gripping and original historical fiction in the tradition of "The Red Tent" and "Girl with a Pearl Earring". In 1769, when Helen Gloag runs away from her poverty-stricken Scottish village to seek a new life overseas, little does she realize what is in store for her. For before a year is out she will be Queen of Morocco, one of four wives to the cruel and charismatic Emperor Sidi Mohammed. Her home is now the glittering harem in Marrakech, crammed with a thousand concubines and bursting with jewels, silks and spices. But Helen soon realizes there is a deadly danger lurking at the heart of this mysterious court...'A triumph...Like the locked jewel-room in the emperor's palace, "The Fourth Queen" seduces with promise' - "Scotland on Sunday". Debbie Taylor is editor of Mslexia, the fastest-growing literary magazine in the UK. She lives in Newcastle with her family and this is her first novel.